Hello! Wow, I really have neglected this poor blog. Time to kick start it back into action I think. I haven't posted much lately because I haven't really been sure what sort of blog I want to keep. It's just a mash up of lots of little things really, for a while I was trying to just blog about baking but wanting to post outfits, share lovely sites I have found etc but feeling like my blog should be about just one thing. Clearly that wasn't working for me since it just left me abandoning this place so for the next while I'm going to do a trial run of just posting what I like and see how it goes. Any requests, let me know! For now though, I will revert back to my old baking ways and share a few photos with you. It seems winter has really set in already, I don't know about the rest of the UK but it is freezing in Belfast. 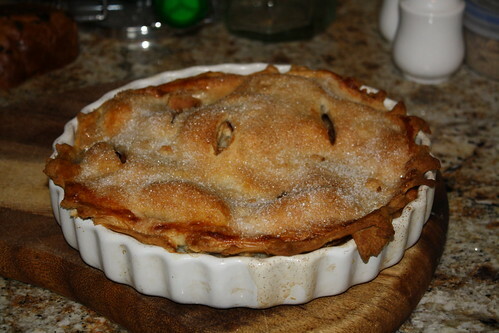 I've been warming myself up with this delicious apple and cinnamon pie from the BBC Good Food webite. It's called 'The Ultimate Apple Pie' and it really is. I've always made pies before by stewing the fruit before baking it, which is alright. 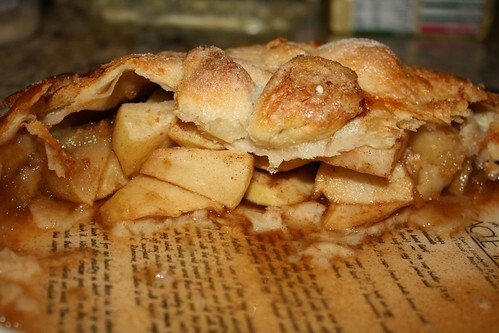 But nothing beats this pie, and it is incredibly easy to make. 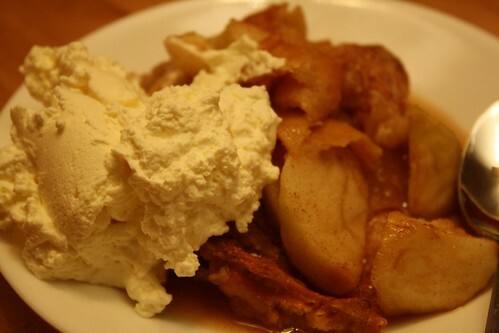 Eat it while it is still warm, and piled high with thick whipped cream. The recipe can be found here. The only fault I can find with it is the lack of cinnamon, I double the amount required. Sometimes triple, it depends on your taste!